Last night I watched a surprisingly brilliant documentary on Victoria Pendleton, reigning Olympic and World Sprint Cycling Champion. I say 'surprisingly brilliant' because I was expecting a tedious montage (which I still would have watched) of talking heads jabbering on about how driven Pendleton was as a little girl and how proud she was to win gold in Beijing and blah blah blah. But this really wasn't that. Within the first few minutes Pendleton despairs at being 'trapped in her own success' and says she's only ever competed to make other people happy. When she wins, all she feels is 'relief' at not having let them down. Not an obviously heartwarming start. Elite athletes often sound stupid and boring, but only because the journalists that interview them are, well, stupid and boring. This excuse cannot explain why Alan Shearer is so stupid and boring, as he appears to be stupid and boring regardless of context. 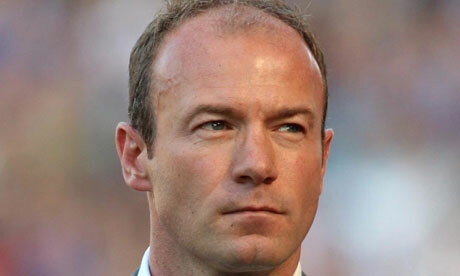 If Alan Shearer were alone in the woods and there was nobody there to hear him, he would still be stupid and boring. But this documentary was immediately compelling. There was very little of the usual 'It was hard, but I'm delighted to have won' guff that sports fans are usually forced to endure. Instead, we were given an insight into just how psychologically draining it is to be an Olympic athlete. Pendleton could tell the viewers she rides 300 miles a week and leg presses 400kg every day and it would mean almost nothing to the rest of us. Those things sound difficult, but the vast majority of us have no conception of what those numbers actually mean. But when we're allowed to see that she's just a person, like us, who is terrified of failure and yet she still puts herself out there, year after year, even when winning doesn't make her happy (at least not in a way that we immediately understand)... then our jaws drop in admiration. Well, mine did anyway. To me, this is the essence of sport. With time and practice, most people can muster some sort of competence at most physical skills. But to truly compete requires an all-consuming commitment that leaves the person as emotionally vulnerable as they are physically formidable. That's the bravery in what elite athletes do. The goal must be pursued with a deranged urgency, even though sporting achievement is ultimately as arbitrary as anything else. Commitment is scary, it's much easier to hold something back so you can pretend that if you fail, you never wanted that success in the first place. Elite athletes do not have this luxury. 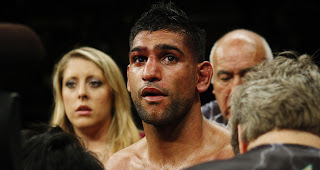 Take a look at this picture of Amir Khan from his possibly career-ending defeat last weekend. Yes, he was bruised and battered, but so what? Boxers look like that even after fights that they win. It's his bewildered expression rather than the blood on his face that makes me wonder what the hell I'm doing with my life. I don't think physical pain really registers that much with viewers anymore. Most people have no clue just how much effort it takes to break away from the peloton on an Alpine climb, or how hard it is for an injury-addled footballer to play through pain. But I think most of us 'get' psychological pain. Most of us know what it's like to want something (or someone), to try to achieve it but still to come up short. Likewise, many of us also know how frustrating it can be to achieve what you've worked so hard for, only to find that you feel absolutely nothing when you hold it in your hands. When that documentary finished last night, I thought about how pointless most fictional narratives seem in comparison, especially if they are sports related. Sport needs a dramatized fictional narrative like the sun needs tinsel to 'brighten it up a bit'.